Ole Miss catcher Cooper Johnson has been named to the Buster Posey Award Watch List. OXFORD, Miss. 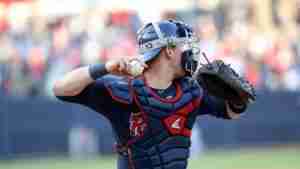 — Ole Miss catcher Cooper Johnson was named to the Buster Posey Award Watch List by the Greater Wichita Area Sports Commission Tuesday. The Buster Posey Award, previously known as the Johnny Bench Award, honors the nation’s top division one collegiate catcher and is voted on by head coaches and sports information directors. 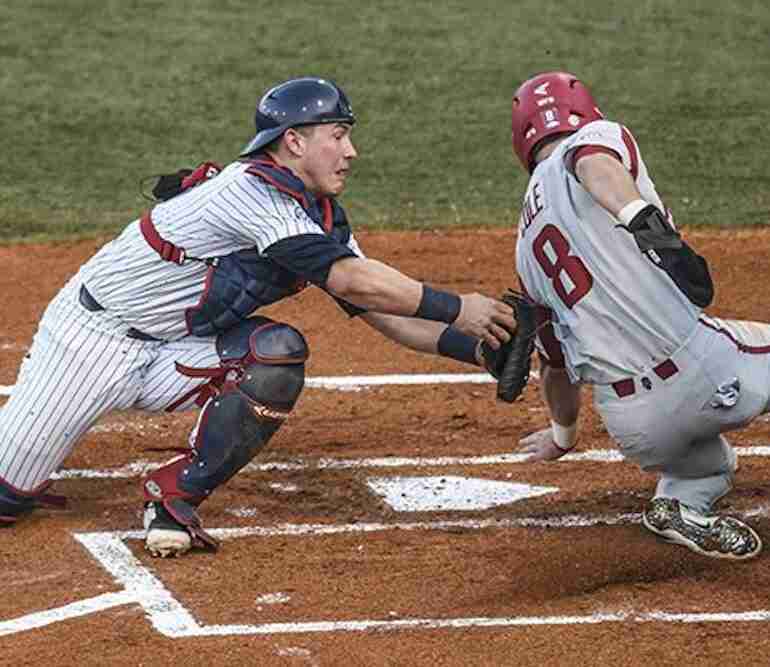 Johnson, a junior, has thrown out 10 baserunners thus far in 2019 while playing in 26 games–23 of which he has started at catcher. Johnson is hitting .291 with seven doubles, three home runs and 11 RBI. The Mundelein, Illinois native is coached at Ole Miss by three former catchers in head coach Mike Bianco and assistants Carl Lafferty and Mike Clement. The Rebel baseball program boasts many outstanding catchers: Stuart Turner won the award in 2013; Will Allen was a finalist in 2014; Henri Lartigue was a finalist in 2016; and Nick Fortes was a semifinalist in 2018. Players will continue to be added to the watch list by the Greater Wichita Sports Commission through May 6. Semifinalists will be announced May 17, with finalists announced June 3. The presentation of the 2019 Buster Posey Award will take place on June 27 in Wichita.